But before we even get to Aries Season, these last two days of Pisces Season will be very profound and awakening. Since Pisces is the last sign of the zodiac, it often brings up some heavy truths in regards to our connections, expectations, needs and emotions. On Monday, the Leo Moon in your career sector may lead to you feeling like a business or creative partnership has run its course, or needs to be completely revamped. The work that you’re doing should feel exciting, not draining or frustrating. If things aren’t going as smoothly as you wish at work, take a break from trying to find solutions immediately… Distance yourself and figure out what your ideal work scenario is in the first place. You may realize that the actions you’ve been loyal to over time are no longer a reflection of what you truly love. It may be time to rebrand yourself, take a break from certain professional pursuits, and decide what matters most to you as a professional and creative. This weekend, an alignment between Jupiter and the North Node may have you feeling a bit restless when it comes to your future. Jupiter in Sagittarius has led to there being so many different options for expansion in so many different areas of your life, and it may feel a bit overwhelming at times to know what step is meant for you… Even though Aries Season energy will have you wanting to get started on something new right away, remind yourself that Mercury is still retrograde, and it’s often confusing or disorienting to begin something new during this phase. You should therefore take time to write down all of the ideas and visions you have for yourself romantically, creatively, professionally, physically, spiritually, etc… You’ll look back at them next week once the retrograde’s over, and hopefully you’ll feel motivated to be more selective and purposeful when it comes to your quarter two goals and projects. Take baby steps, Scorpio, and remember that you’re already accomplishing so much. Be kind to yourself as you begin this astrological new year. Curious to know more about this 7-year Uranus in Taurus sector? 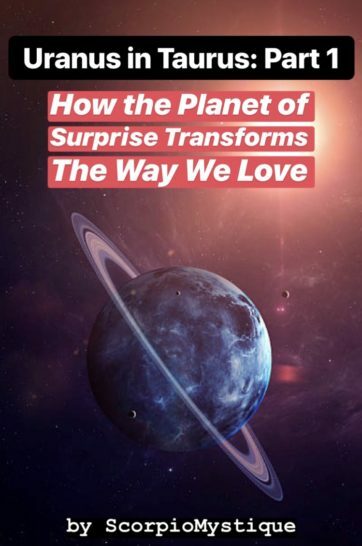 It’s shaking up the way we give and receive love, not only romantically, but also in our friendship and overall connections with fellow humans. 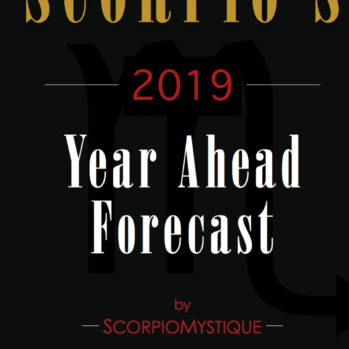 We’re going through a massive consciousness shift, and I wrote a 30-page forecast to help us navigate these changes with patience, courage and wisdom. All orders are available to download digitally immediately after purchase. Enjoy! Uranus, the Planet of Surprise, has shifted into Taurus on March 6, 2019, and will remain there until 2026. Since Taurus is Scorpio’s opposite sign of the zodiac, its transit will have a direct effect on our partnership sector these next 7 years. Our romantic partnerships, as well as all types of partnerships, will therefore experience a radical transformation from the inside out. This is something that we have felt within ourselves, and it will now manifest outwardly. 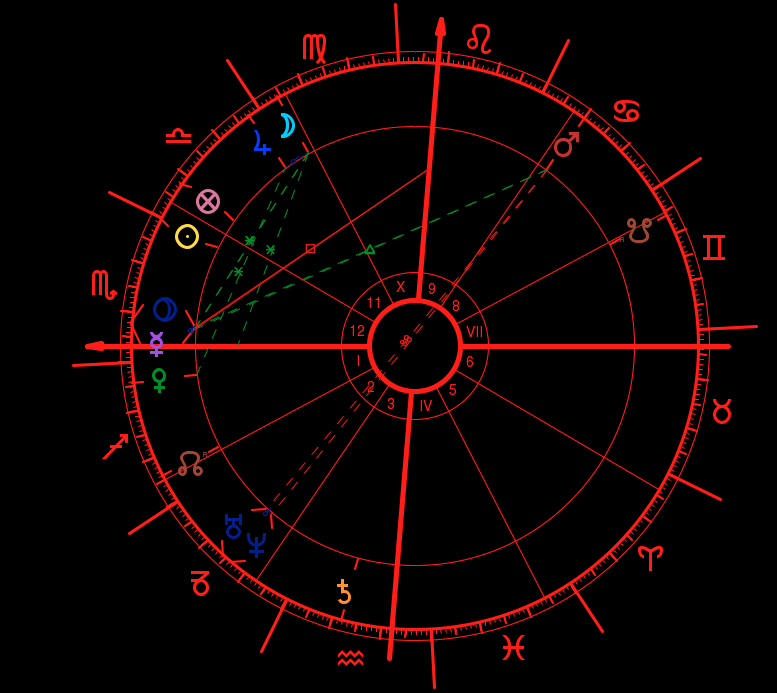 Uranus in Taurus Part 1 serves as a guiding tool for navigating these new waters. Your relationship foundations are dramatically shifting, but as long as you trust your heart and your instincts, you’ll experience the love life meant for you, Scorpio. This 30-page report breaks down the overall energy of Uranus in Taurus, and also highlights specific dates where we may feel its influence most intensely in our relationships. If you’ve been navigating challenges in your partnerships and feel like you’re at a crossroads in your love and social life, this transit is for you. Empower yourself and empower your relationships by being self-aware and accepting of the changes manifesting in your life. You are not alone, and you will make it through stronger, wiser, and more evolved than ever. All orders of Uranus in Taurus Part 1 are available for download immediately after purchase, and will also be emailed to you. Enjoy!